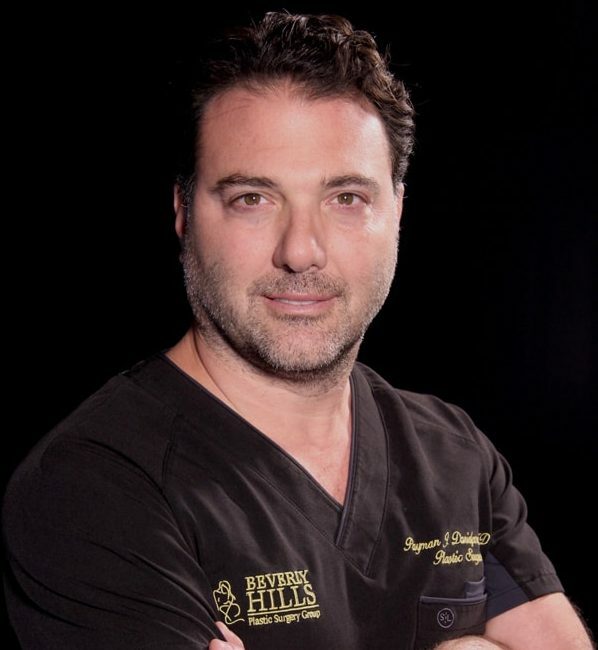 Dr. Payman Danielpour, a native to Beverly Hills, has finally returned home after many years of education and training. Payman is a proud alumnus of Beverly Hills High School. Payman attended medical school at The Chicago Medical School. While in medical school, Payman excelled in his studies and was very active in community service and medical societies. He was elected class president of his graduating medical school class. He decided on a surgical career and trained in General Surgery at the prestigious Mount Sinai Medical Center in Miami Beach. As a standout general surgery resident, Dr. Danielpour was fortunate enough to be selected to train in Plastic and Reconstructive Surgery at Nassau University Medical Center in New York. It was here that he trained under the world renowned Long Island Plastic Surgical Group – the largest and oldest private practice group in America. In addition to having a complete and well-rounded knowledge and love for plastic surgery, Dr. Danielpour developed a passion for breast cancer reconstruction and aesthetic breast and body surgery. He has appeared on local news stations such as NBC-LA, as well as national broadcasts like Extra, Home & Family TV, Entertainment Tonight and The Doctors. He has served as a consultant for 944 Magazine, LA Mom Magazine, OK Magazine, STAR Magazine, as well as US Weekly. He is on the scientific advisory board for Neodyne, a company known for cutting-edge advanced scar therapy from Stanford University. He frequently speaks at national and international conferences and symposiums on the latest advances in breast surgery and body contouring. Dr. Danielpour is an active member of The American Society of Plastic Surgeons. He is on staff at Cedars Sinai Medical Center and Olympia Medical Center. He is board-certified by The American Board of Plastic Surgery. Dr. Danielpour’s passion is giving back to the world and the community by attending Smile Train mission trips and always being available to treat traumatic injuries in the community. He trained in General Surgery in Chicago, at the University of Illinois Metropolitan Group Hospitals, where he was awarded the title of Administrative Chief Resident during his final year. After receiving the Vijay Maker, MD award for Academic Excellence, he went on to train in Plastic and Reconstructive Surgery at Nassau University Medical Center in New York. It was here that he trained under the prestigious Long Island Plastic Surgical Group – the largest and oldest private practice group in America. Dr. John Layke is not only an artist but an accomplished surgeon, scientist and author. Dr. Layke has published several articles in reputable medical and surgical journals, and he has given oral presentations at National and International Conventions. He is currently an active member of the American Society of Plastic Surgeons. 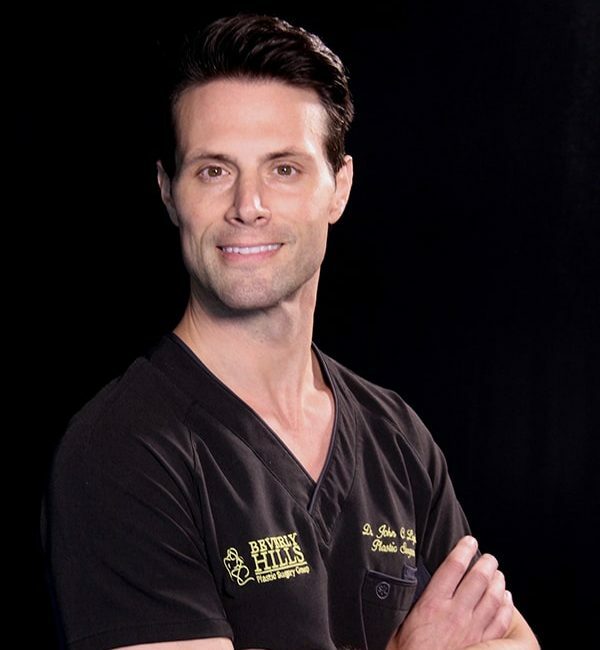 Dr. Layke has appeared on local news stations such as NBC-LA, as well as national broadcasts like Extra, Home & Family TV, Entertainment Tonight and The Doctors. He has served as a consultant for 944 Magazine, LA Mom Magazine, Harper’s Bazaar, OK Magazine, STAR Magazine, as well as US Weekly. He is on the Advisory Board for Skineez, an international garment company that infuses medicine into their garments, as well as a company called Neodyne, known for cutting-edge advanced scar therapy from Stanford University.